The Premier Candy Buffet, Candy Bar, Candy Favor & Candy Catering company in Southern California. Serving Orange County, San Diego & Los Angeles, Las Vegas, Palm Springs & Ventura County. We create the most affordable Wedding Candy Buffets and Candy Buffets. Great for Weddings, Bat & Bar Mitzvahs, Birthdays, Corporate Events, Red Carpet Events, Sweet Sixteens, Grad Nights, Proms and Homecomings & Product Launches too. Check out our website or call today to place an order. 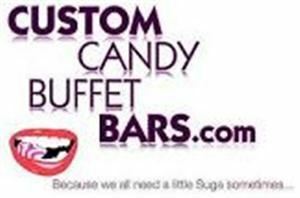 Mention you found us on Eventective and receive a FREE filled jar of candy with your Custom Candy Buffet Bar order. Have a Sweet Day!